The following article comes from our friends at Admit Advantage. We’ve invited them to share their tips for dealing with the negatives on your law school application. You’ve taken the LSAT, registered with LSAC, talked with your professors about letters of recommendation, and now you are ready to apply to your dream law school. But wait — your LSAT score isn’t as stellar as you had hoped it would be? Your grades are low? You have been out of school for a year and haven’t done anything useful with your time? You have a disciplinary or criminal record (and you aren’t sure whether it is public)? Rare is the student who has a “perfect” application. Let’s talk about how to deal with real-life negatives on your real-life law school application. What can you do if your LSAT score is lower than the median for the schools to which you plan to apply? The answer depends on your timing, but the simple response is: raise your score! If it is October, and you’ve just received your September LSAT score, then take the time to study and re-take the exam in December. Although you can receive a boost from applying early, it is not nearly as helpful as the increased chance of admission you will enjoy with a significant jump in your LSAT score. If you did not invest in a test preparation course the first time, spend the time and money now to take a course, study more, hire a tutor, or whatever else you need to do to improve your score. If it is later in the admissions season and you still don’t have a high enough score to make it into the schools of your choice, you may wish to delay applying an admissions cycle until you have put in the time to improve your score. Remember that not only admissions decisions but also scholarship money are in play when you are dealing with your LSAT scores. The LSAT is a learnable test, and with enough time, you can improve your performance. As with a low LSAT score, a GPA below the median for your target school can stand in the way of your admission. If you are a college senior and need a higher GPA to have a good chance of being admitted to your top choice law school, strongly consider delaying your application one admissions cycle. Two semesters of higher grades can significantly raise your overall GPA and make the difference in gaining acceptance and receiving needed scholarship money. If you are already out of school, consider where your weaknesses lie. If, for example, you have a quantitative background, highlight your written and verbal skills by emphasizing relevant extracurricular activities (debate club, anyone?). If your overall GPA is lower than the median but you performed well in your major, ensure that your recommender can point out your proficiencies and rave about your passion and intellect. Some applications only ask about whether you have been criminally indicted or charged; others request information regarding any arrest, minor infraction or even school disciplinary history. Make sure you understand exactly what you are being asked. Do not assume that if an infraction was far in the past or “sealed” that you do not need to disclose it. You can and should obtain all records from the incident, as you will eventually need them for admission to the bar. If you are unsure, seek advice from an outside source. In fact, you may wish to call the state bar where you wish to practice in order to ensure that your background will not interfere with admission to the bar. And when in doubt: disclose. Many state bars will request a copy of your law school application. If there is a discrepancy between what you disclose there and what you disclose in your bar application, that can present a real problem for bar admission. Two typical problems arise in obtaining letters of recommendation. The first is when a current student feels she does not have a strong relationship with a professor. The second is when an applicant has been out of school for an extended period of time and is unsure of how to approach former professors. In the first instance, remember that professors expect such requests. Even if you have not written a senior thesis, worked as a teaching assistant or otherwise formed a close relationship with a professor, you can ask a professor for a recommendation. Consider in which classes you have been outspoken and performed well. You will be wise to set up a face-to-face meeting with your professor, provide her with your personal statement and resume, and explain to her why you are applying to law school. Help her understand your motivations so she can write you a strong letter. Finally, give your professor an opportunity to say “no.” Ask if she can give you a strong recommendation. If she declines, politely thank her and find another recommender. In the second instance, applicants often ask whether they should just use professional contacts for their recommendations. Each school has its own guidelines, but you should aim to have one academic recommendation and one professional recommendation if possible. If you don’t or can’t obtain an academic recommendation, this will raise a red flag for an admissions committee. And if you are a sophomore or junior considering law school, remember to build those relationships now. Writing a senior thesis or engaging in independent study with a professor is an excellent way to develop the kind of relationship that will help you to obtain that glowing recommendation. Law schools are interested in seeing your development as a full human being, not only as an academic. Long-term involvement in extracurricular activities, especially those in which you have held a leadership role, is preferable to peripatetic club joining, so think quality, not quantity. If you are earlier in your academic career, get invested in activities, stay with them and grow with them. If you are a senior or already have graduated, you can add activities now, but beware that schools are less likely to take those as indicators of character than if you had been involved for a longer period of time. If you have been out of school for a year or two or ten, you need to show that you have direction in your professional life. The biggest problem is if you have not done anything. Schools know that the job market has been tight, but you can include unpaid internships and volunteer work to show how you have developed and made the most of your situation. An addendum serves to address weaknesses in an application that you have not sufficiently addressed elsewhere. It should not read as an excuse or a complaint. Rather, it should be an explanation. For example, if your second semester sophomore year grades are low because you were caring for a terminally ill parent, you could provide a brief explanation. If your grades fell because you were pledging a fraternity, that would be seen as an excuse and not a good way to handle the dip in your GPA. If you choose to write an addendum, ensure that it is direct, succinct (while still providing sufficient details as explanation) and is not a complaint or excuse. Some applicants wonder if they should address a discrepancy in LSAT scores in an addendum. If you scored a 150 the first time and a 165 the second time, congratulations! And don’t think any more about it. The school is likely ignoring your first score. Drawing attention to the score will do you no good, nor does it matter. Have confidence in yourself and your experience. No application is perfect, but you can take steps to mitigate negatives and emphasize positives. Do your best, and good luck! 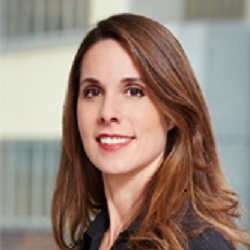 Christina Taber-Kewene is the Director, Law Admissions, for Admit Advantage, an admissions consulting firm specializing in Law, MBA, medical school and undergraduate admissions. Schedule a free consultation with her at //www.flexbooker.com/admitadvantage or Christina@admitadvantage.com and receive 10% off your consultation package with code MTP2014. It’s that time of year—personal statement time. 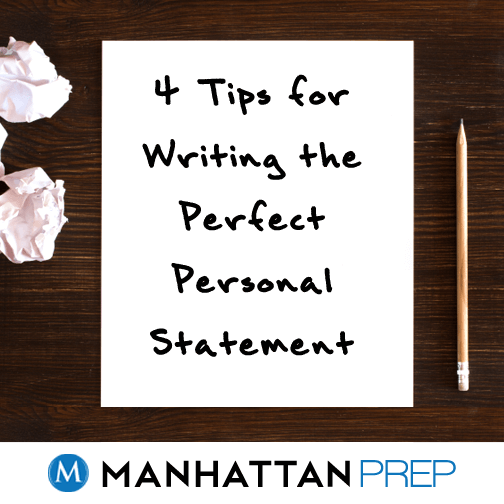 Whether you’re in the brainstorming, drafting or revising stage, there are some great rules of thumb when it comes to writing your law school personal statement, rules that can help you stay on track to submitting a dazzling one. Over at jdMission, I’ve been reviewing actual personal statements each week, highlighting their strengths and weaknesses, and discussing what lessons can be learned from them. Here are the most recent tips for making your personal statement sparkle, with links to the essays and reviews if you want to read more! 1. Tie the pieces of your story together. A good personal statement has a narrative. You best convey who you are through story, and you choose to include certain stories because they say something about who you are—something significant. They illustrate the quality or qualities that you want the admissions committee to know about you. If stories don’t do this, well, they don’t belong in your essay. Odds are, you tell more than one story in your essay. You tell a few. They may or may not be in chronological order, but it is essential that they fit together, that collectively, they support what you are trying to say. If a story seems like it isn’t adding much or doesn’t fit, consider cutting it, or ask yourself if you can tell the story differently so that it is a better thematic fit. Read an example essay and review here. 2. In the climax of your essay (the big transition), avoid vagueness. Use concrete language instead. If you are going to walk the reader through a rough patch in your life in order to demonstrate how you came out on the other side of it stronger, GREAT! Transition stories can be very powerful. They also, in order to be well told, need to zoom in on the moment of transition; it isn’t a part you can breeze over or tell from a bird’s eye view. For example, if you are writing that financial stress caused by a foreclosure in which you didn’t have an attorney drove you to illness, don’t say that you “experienced hardship” or that it “took a toll” on your health. What was the hardship? What was the toll? Specific, concrete details give transition moments their power. Read an example essay and review here. 3. Avoid bad beginnings and generalities. I know this one is a generality (what’s a “bad beginning?”), but see why it’s so problematic? It’s hard to know what to do with it! One beginning that I would call categorically “bad” is the one that starts with you apologizing for who you are. Maybe it concerns you that the admissions committee wouldn’t want to admit someone who didn’t go to a liberal arts college and has worked her whole life to become a ballet dancer, and that’s a reasonable concern; you will need to demonstrate that you are up to the rigors of graduate-level academic work. Do not, however, begin your essay with, “I know you probably don’t think I can handle law school, being a dancer and all…” Start with the positive, with reasons why you should be admitted. Draw their attention to what about you makes you worth admitting, not to your weak spots. Read an example essay and review here. 4. Although your essay may be 90% there, the 10% may be most important. Sometimes, I will read an essay that is so compelling, so well-written and engaging and believable and uplifting, that I forget I’m reading a personal statement. This sounds ideal, right? It would seem you should aspire to give this experience to the admissions officer who reviews your application. Yes, that is true, but: It can still fail in an essential way, even if it’s that good. It must still connect the dots between the Most Amazing Story Of All Time and why you’re a good fit for law school. I may not be able to put down The Hunger Games, but if I read it as part of Katniss’s law school application, I’d finish it thinking, “That was great!” and then I’d pause. “Oh…wait, why is she applying to law school?” Don’t forget what you writing, and why you’re writing it. Read an example essay and review here. 4. Don’t use webMD while studying for the LSAT. #hives #cancerorjustanxiety? 5. The individuals who construct standardized tests are called psychometricians. The psycho part fits. 7. Is it too late to be a doctor? 10. Maybe there are some good logic games tactics in this pint of mint chocolate chip? 11. “How’s studying going?” If I get asked it again I am going to break a non-mechanical pencil. 14. I wish I had a nickel for every time I have said “practice test” in the last 3 months.